Currently viewing the tag: "powerpoint"
Excel is an incredibly useful and powerful tool. To greatly extends its functionality, all we need is just some VBA programming. Below, we have 3 such examples of useful tools built in Excel. This tool allows you to automatically create and format extensive project plans in Gantt Chart format. This tools allows you to dynamically create very detailed, complex organization charts using in Excel. This tool allows you to automatically update hundreds of Microsoft PowerPoint slides, charts and tables from Excel in minutes. This tool is incredibly useful for managing large PowerPoint presentations that require frequent updates and formatting changes. I’ve always felt the easiest way to learn VBA programming for Excel is by testing and experimenting with the code of others. The three Excel documents above are great ones to start with. 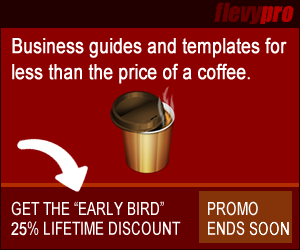 Flevy.com is the marketplace for premium business documents. Need a document in a hurry? Browse their marketplace and download what you need to expedite and strengthen your work. Have documents you’ve created? List them on the marketplace to start earning passive income for yourself or your company.